One of the hottest questions at the quarterback position is where Nick Foles will end up next year. The Eagles are still confident that Carson Wentz will be their guy for the future, which leaves Nick Foles in an awkward situation. The Jacksonville Jaguars have recently hired ex-Eagles quarterback coach John DeFilippo as their offensive coordinator. This could mean that there's a possibility of a reunion for Foles and DeFilippo in Jacksonville, who worked together during the 2017 season. Per a report, Jacksonville is ready to make a run at him. The two clicked well together during their brief stint in Philadelphia, as DeFilippo was able to get MVP worthy performances out of Foles. It wouldn't be surprising if they linked up again in Jacksonville. The Jaguars were already a favorite landing spot for Foles before the signing of DeFilippo. 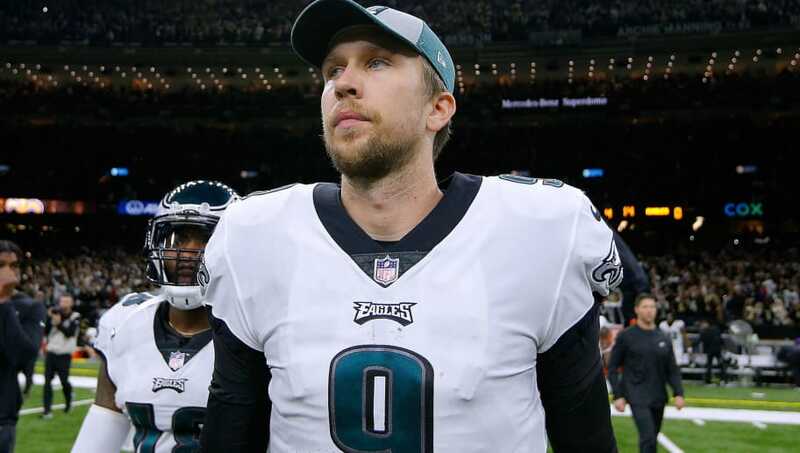 The Jaguars were already one of the favorite teams to land Nick Foles this offseason, but this could even strengthen their chances. The Jaguars are in need of a solid quarterback, especially since their current signal callers were disappointing in 2018. Blake Bortles struggled to a 3-9 record as a starter this season, amassing almost as many interceptions as he did touchdowns. Cody Kessler was the next guy up, but he didn't necessarily impress either. He had only two passing touchdowns in his four starts. The lack of consistency at quarterback and the recent signing of DeFilippo point to Nick Foles coming in next year. Could it actually happen?